The past week has been pretty quiet for snow fall. Higher elevations in the west increased their snow depths and North Dakota was also able to increase their snow depths by an inch or two. 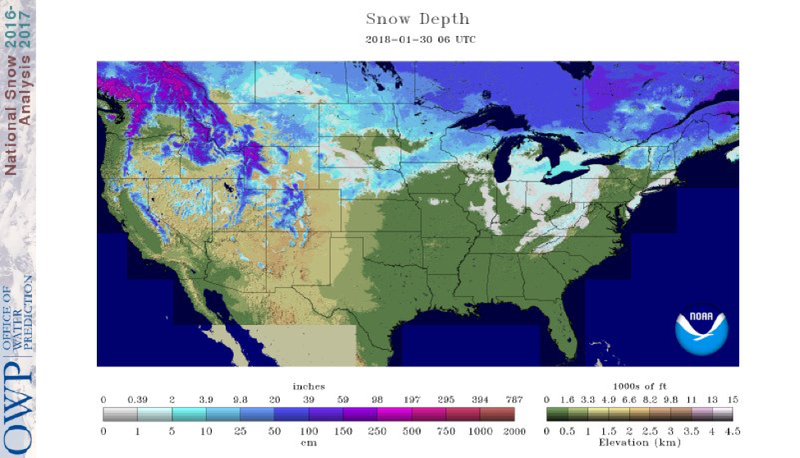 The Ohio River Valley had a light snow cover. Northern Maine was lucky and also received snow over the past week. While the past week was warmer for most, winter isn’t over. 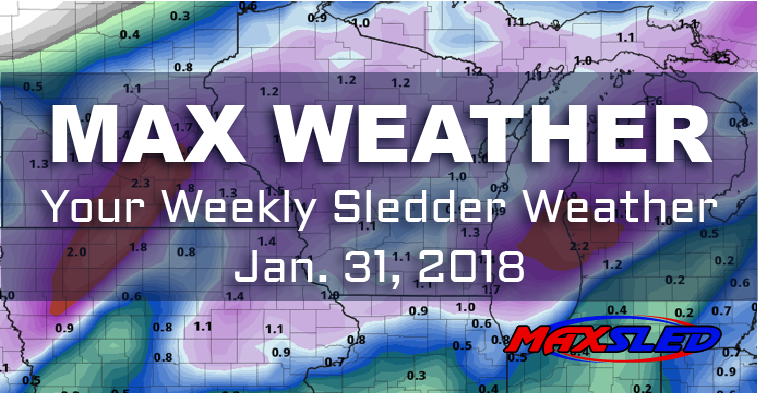 The forecast for next week looks to bring back some snow and cold temperatures. Trails will be looking better with the cooler temperatures this weekend. 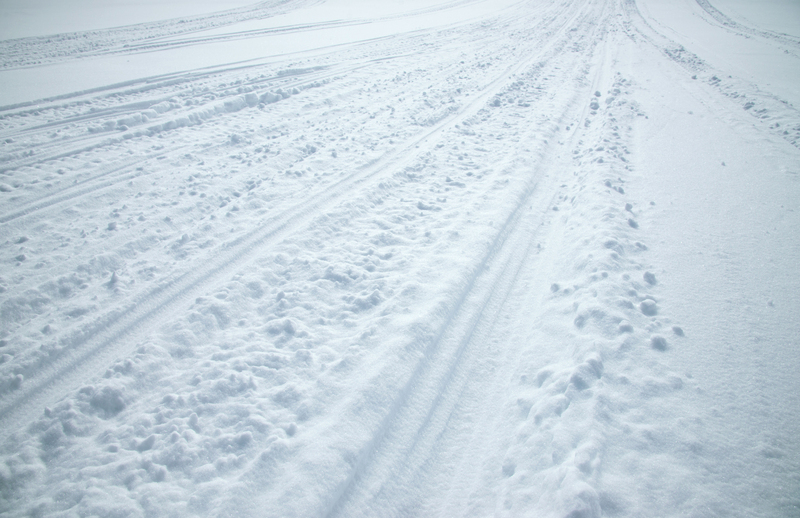 Upper Peninsula, northern Minnesota and Wisconsin trails are still open but with the warmer temperatures, there were some residual thin spots. Michigan is not looking great with the warm temperatures depleting most of the snow. Some trails remain open in eastern North Dakota. Northern New England trails are looking good. While the southern Northeast and near the coast struggled with more rain. As for the west, your best bet will be in high elevation. As always be aware of your soundings and on the lookout for avalanche areas. 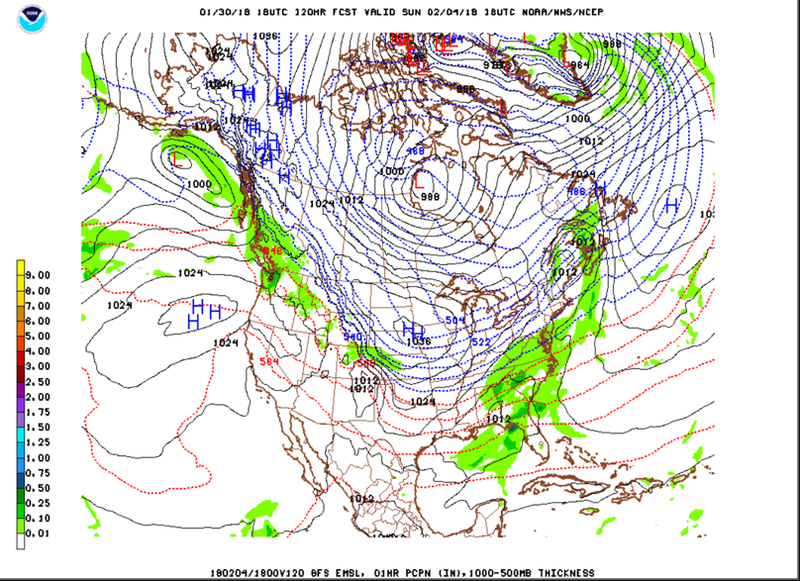 This week, we are looking for an Alberta Clipper system to move in. This system will bring winds out of the north ultimately bringing polar air and snow across the Midwest and Northeast. The cooler temperatures will arrive around Wednesday/Thursday in the Midwest. Then the clipper will shift east, temperatures in the Northeast will also drop into this weekend. Cooler temperatures allow for lake effect snow around the Great Lakes and freeze water on the trails. The east side of the Rockies will also receive some energy from the clipper. 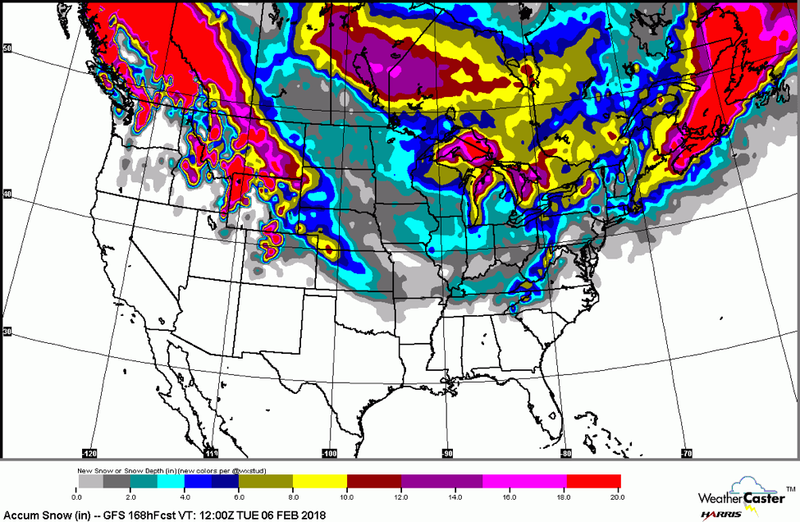 Montana and Wyoming looking to acquire some precipitation through the weekend. Higher elevation will receive snow, while lower elevation areas might receive a wintery mix. On the west side of the Rockies, moisture from the Atlantic will allow for some snow in higher elevations throughout the week.